(GANANOQUE, ON) – St. Joseph Catholic Elementary School in Gananoque wants you to come on down to 235 Georgianna Street for a day of fun, family oriented activities. “The Annual Fun Fair will be held on Saturday, October 5th, from 9:00 a.m. until 12:00 noon,” says the school. “This is a great event for families that includes auctions, raffle tables, bake table, fish pond, air castles, and much more. St. Joseph school is well known for its good works in the community as well as for giving a high quality education to students from JK – Grade 8. Among the many activities to be featured are games, both live and silent auctions, a raffle table, and lots of fresh baked goods. There is truly something for everyone. 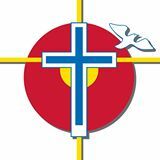 This entry was posted in Announcements, Events, Schools, St. Joseph Catholic School and tagged entertainment, event, fundraiser, school by llpayette. Bookmark the permalink.